The M.E. Society initially focused on the traditional degree programs like B.A. and B.Sc. But within the decade from the establishment of the M.E. Society, a Diploma course in Electrical Technology was launched under the banner of Cusrow Wadia Institute of Technology. The Next round of professional courses was launched in 1990’s when the Post Graduate Degree programms under the banner of Neville Wadia Institute of Management Studies and Research were introduced. This was followed by the full time Degree Engineering college. 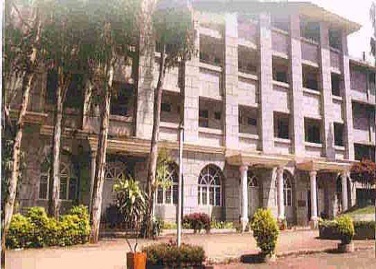 Wadia College Institutions today touch several disciplines of higher education such as Law, Engineering, Management, Science, Humanities, Languages, Commerce, Computer Science etc. All institutions of M.E. Society provide Degree, Post Graduate instruction, coupled with excellent research facilities leading to M.Phil and Ph.D. degrees. Neville Wadia Institute of Management Studies and Research, Pune encourages and helps its students to imbibe in themselves this element of ‘genius’, by providing them best of facilities and management education. NWIMSR has always endeavored to mould its students into effective leaders who blend business practice into theory, ones who advance the evolution of strategies ideal for promoting a vibrant and throbbing business environment.